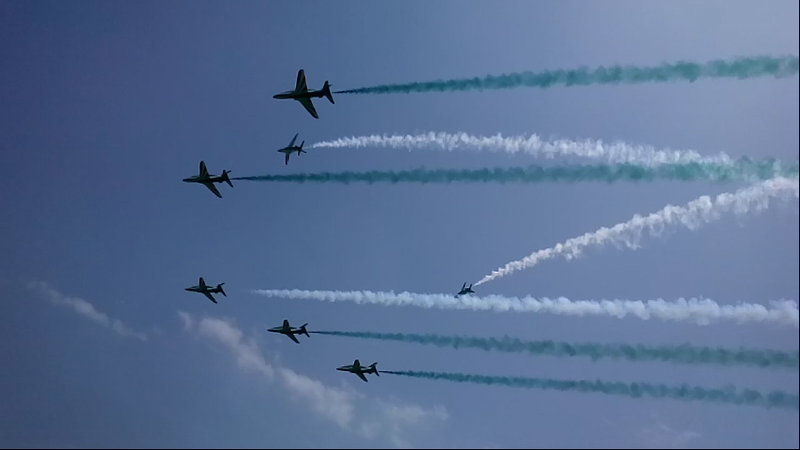 Pakistan Air Force (PAF) made the country’s 70th Independence Day historic and jubilant with a beautiful and professional air show at Islamabad and Karachi. These were the largest air shows in the history of Pakistan, held on different intervals. The first airshow was held at Fatima Jinnah Park, Islamabad. Mr. Mamnoon Hussain, President of Islamic Republic of Pakistan was the chief guest at the occasion. Defence Minister Khurram Dastagir and Air Chief Marshal, Sohail Aman, Chief of the Air Staff, Pakistan Air Force also witnessed the event. Ambassadors of friendly countries, former Air Chiefs and high ranking civil and military officers were also present at the occasion. PAF’s fighter and training aircraft including Mirage, SAAB-2000, and Augusta-139 from PAF; while, MI-17 and PUMA helicopters from Army Aviation participated in the show. Besides PAF aircraft, world renowned aerobatic teams from brotherly countries Turkey and Saudi Arabia also performed in this mega event. The huge crowd gathered in the F-9 Park was ecstatic to see “Solo Turk” flying overhead in a thundering sound. The stunning maneuvers of this world famous aerobatics team of Turkish Air Force left the spectators spell bound. 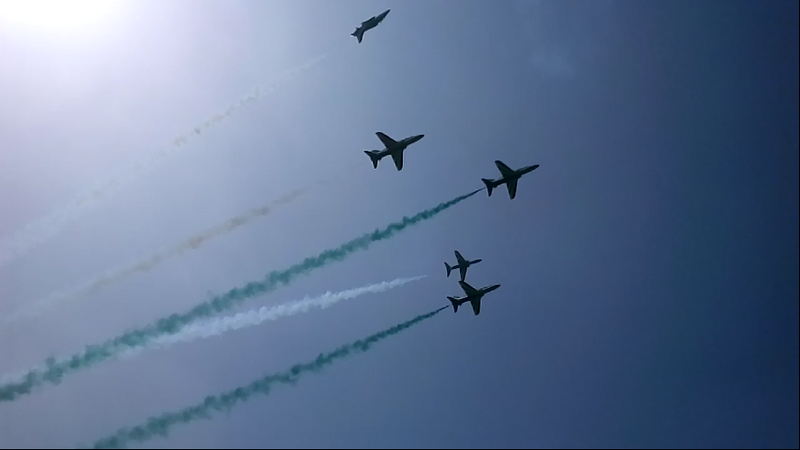 “Saudi Hawks”, a 7 ship aerobatics team of Royal Saudi Air Force also participated in the event. 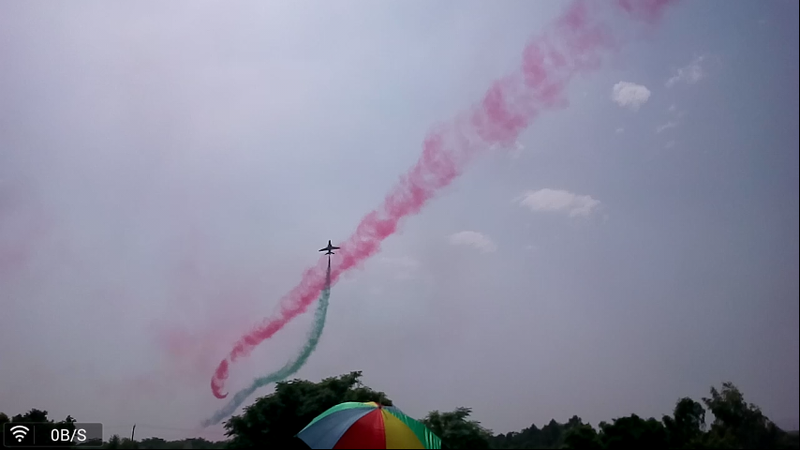 The blue skies of Islamabad were filled with colours as this acclaimed aerobatic team displayed eye-catching drills. 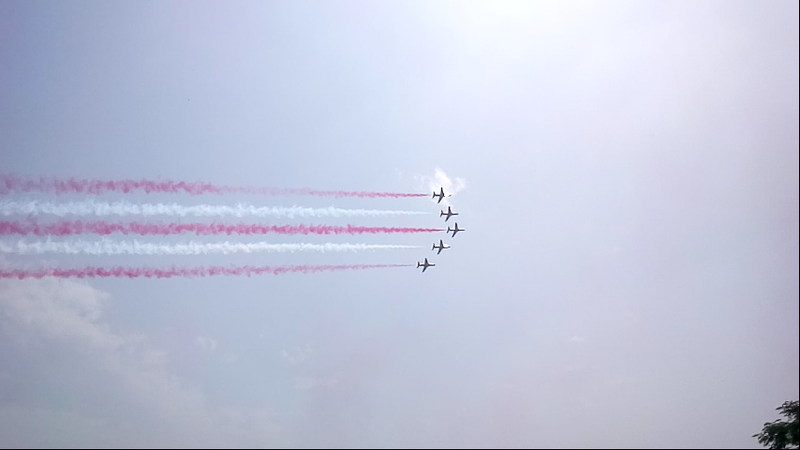 The spectators thoroughly enjoyed the breathtaking maneuvers of these aircraft and showed their appreciation by clapping and chanting slogans. After the thrilling performance of Saudi Hawks, the indigenous JF-17 Thunder aircraft entered the arena. The spectators cheered with joy to see the spectacular maneuvers of this aircraft, rightfully called the Pride of the Nation. Moments after the departure of the roaring JF-17 Thunder, Augusta helicopters appeared on the horizon for solo aerobatics display. The show was rounded off with the Tri-Services free fall display in which the Commandos from the Special Services Wings jumped from a C-130 aircraft flying at height of 10,000 feet and safely landed at the designated places. 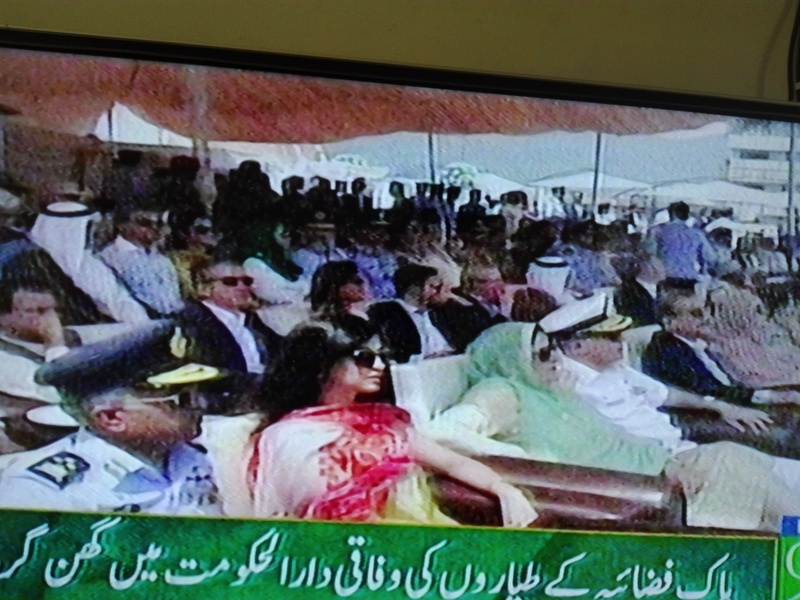 Another airshow was held at Sea View Karachi in which Chief Minister Sindh Mr. Murad Ali Shah was the chief guest. F-16, P-3C Orion, Z-9, Alouette-III and Sea King helicopters presented the fly past at the venue. 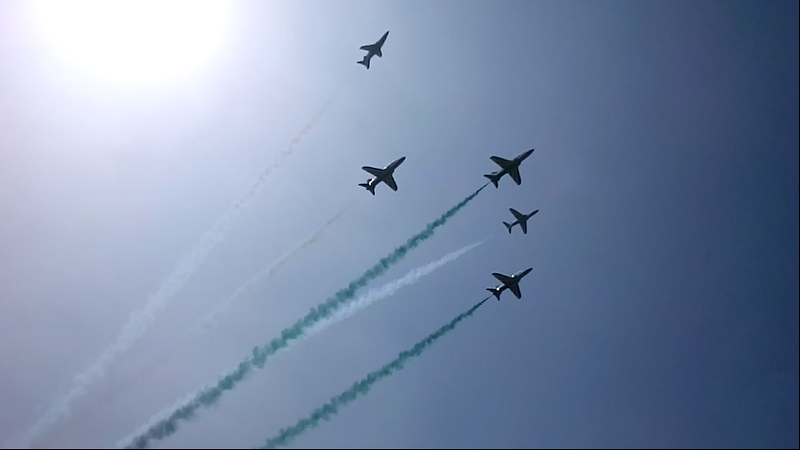 Afterwards JF-17 Thunder and PAF aerobatics team Sherdil presented a mesmerizing aerial display. Hundreds of thousands of Karachiites came to see this show and there was a standstill, with no vehicle moving from start till the end of show. People cheered the pilots when the aircraft maneuvered above their heads. Yes boss I agreed. Boss what an observation. You have talent like eagle yet soft like rabbit. I your biggest AC from Pindi. Did yours stand up after this?